Some people think pressure caps don't wear. Some people say the Lotus OE radiators with plastic side caps are no good. Every pressurized system needs a protection mechanism to prevent it from building up too much pressure. If the system builds up too much pressure (or the cap gets stuck) something has to go. The weakest part will be the plastic side caps at the radiator, so they will blow. You can't really blame that on the design of the radiator if you're not sure about the pressure in the system. Our rule of thumb lifespan for a Coolant Reservoir Pressure Cap is two years. From there, it will either start to get loose (boiling, temperature going up manically) or it'll get stuck (radiator or pipes blowing up). Think about it, this cap is easy to replace, it's cheap compared to the original part. It simply is disaster prevention! 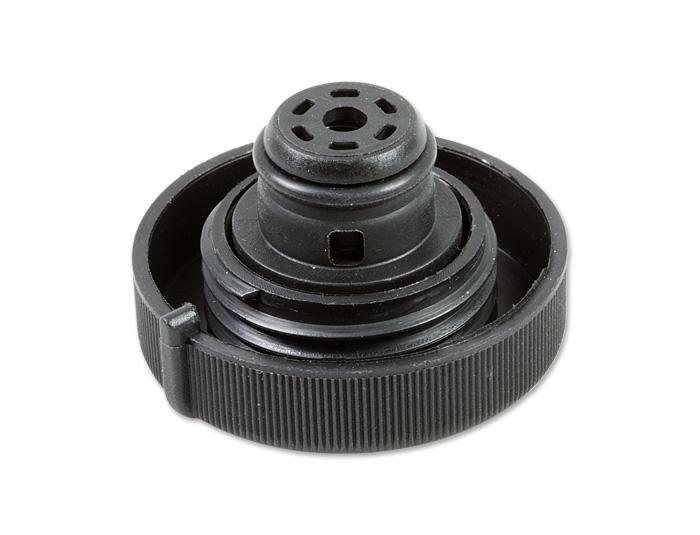 This cap is suitable for all Elises, Exiges and Evoras with a Toyota drivetrain.